Some people avoid filing their tax returns because they don’t want to pay taxes to the IRS. Other simply forget or don’t know they need to file. Whatever the reason, having several years of unfiled tax returns can create problems whether you are due a refund or have a balance due to the IRS. If you don’t file, you can’t get your tax refund. Every year, taxpayers fail to file and let the IRS hold their money interest-free. If you don’t file your return within three years of the due date, you forfeit your right to the refund money, and the IRS won’t even use this money toward any balance you owe. If you have a balance due and don’t file your return, the IRS is going to find out eventually. If your employer or client gave you a W-2 or 1099, they also had to file a copy with the IRS. The IRS can use this and other information to determine that you should have filed a tax return. First, you may get a notice informing you that the IRS didn’t receive your tax return. If you still don’t file the IRS can take matters into their own hands and file a return for you. This is known as the Substitute for Return (SFR). It typically results in a higher balance due because it doesn’t give you many of the deductions or credits you should get. Even if you are due a refund, the SFR could show a balance due because it doesn’t contain your business deductions or itemized deductions, such as the mortgage interest deduction. Tax will be assessed and you’ll receive a notice demanding payment. You’ll be hit with the failure-to-file penalty, failure-to-pay penalty, and interest. If you keep failing to pay, you may face a federal tax lien or IRS bank account levy. File your delinquent returns. All of them. Even if the SFR has been filed, you should still file to get all the deductions you deserve. Talk to a tax attorney about setting up a payment arrangement. You may also be able to minimize some of the penalties you’ll have to pay. File your tax returns on time moving forward. Ayar Law provides creative solutions to your tax problems, including Offers in Compromise and penalty abatement. 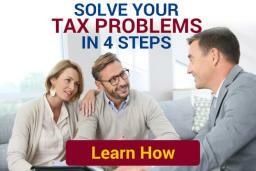 Call us at 248-262-3400 to get FREE, no-obligation tax advice.